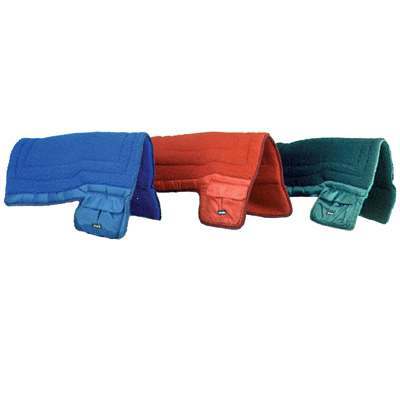 Each and every one of our Western Fleece Trail Pads with Pockets is on sale now. Take a look at our collection of horse tack equipment and we are certain you will find what you are looking for. This Western saddle pad is made with fleece top and bottom. It has two spacious pockets.